If you’ve put off getting a passport for an upcoming international trip, this news is for you. Increased demand for passports has caused a major backlog in application processing. 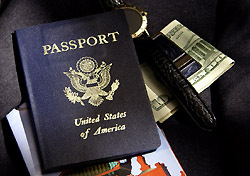 Travelers can expect to wait 10 weeks to receive a passport, compared to the usual four to six weeks. Expedited passports may take up to four weeks, rather than two. The State Department says it expects to issue 17 million passports this year, compared to 12.1 million last year. The Western Hemisphere Travel Initiative, which went into effect on January 23, requires passports for air travelers flying to Mexico, Canada, the Caribbean, and Bermuda. Passports will be required in 2009 for land and sea crossings.